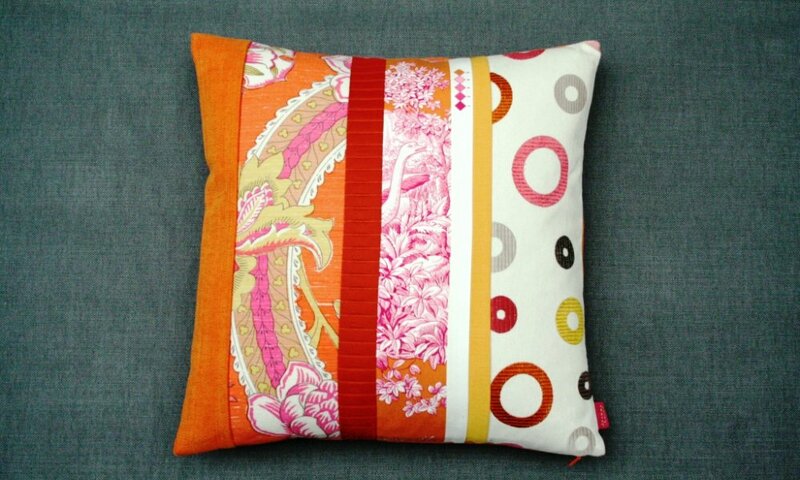 40cm square cushion in tones of orange and pinks that appear in the printed selvedge strip. 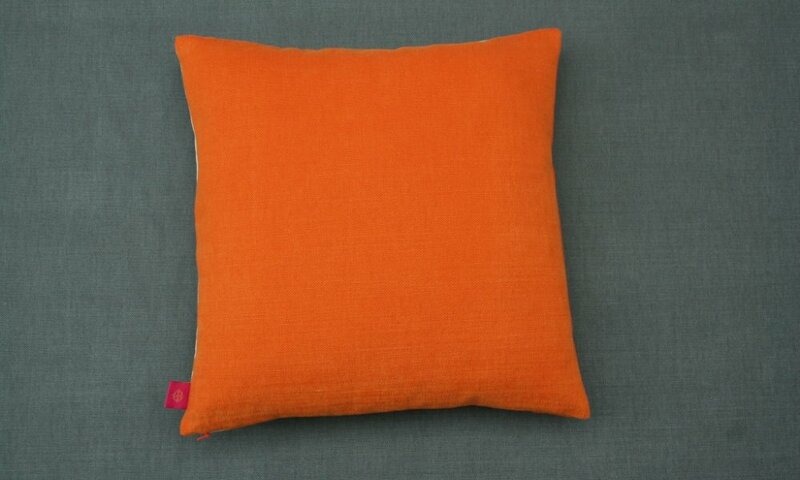 Cushion has an orange brushed cotton back with concealed zip, feather pad and brand label. This cushion is dry clean only. Each edge pumpkin cushion will be unique as the fabrics used will vary slightly but be from the same colour palette.